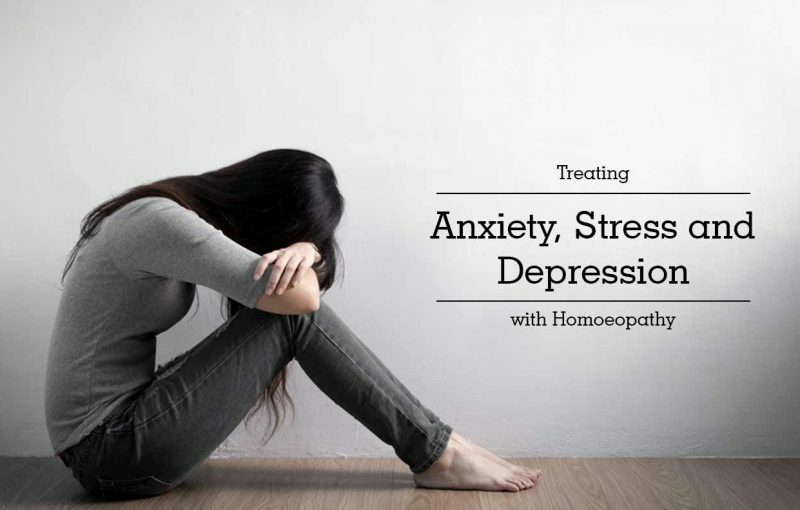 In this post of Homeo Expert, we shall discuss the best Homeopathic Medicine for Depression or top homeopathic remedies for depression. Depression is a mood disorder which can cause a continuous sadness and loss of interest. It also has other medical terms including clinical depression and major depressive disorder. It can affect your feelings, thinking and behavior which can lead to physical and emotional problems. Homeopathic medicines for depression are devoid of side effects and you can also use them for a long term. It is due to the fact they are not harmful if the selection of the medicine is perfect. Additionally, they are not sedatives like allopathic mode of treatment. You may ask yourself a question that can homeopathy cure depression? The answer is yes and depression can be treated using natural homeopathic remedies. Early treatment is more helpful and it will stop it easily. Ignatia Amara is one of the best homeopathic remedies for depression. It is an excellent remedy for depression if it is in the beginning. Symptoms of extreme sadness and weeping are present in the patient of Ignatia Amara. They want to remain lonely and avoid meeting people. Additionally, they also experience intense hopelessness and are absorbed in grief. They get angry very easily with sudden fluctuations of mood. Natrum Mur is a majorly prescribed homeopathic remedy for treating chronic depression. It is a helpful natural medicine that helps the patient to get rid of long term chronic depression. The patient of Natrum Mur remains constantly in the past unpleasant memories with intense sadness and crying spells. They bear their sadness in solitude and isolate themselves to avoid going outside. The patient has reserved personality and does not want to share his grief with others. In addition, he does not appreciate the consolation from others. They become irritated and offended very easily. Natrum Mur is also an excellent medicine for those patients who are suffering from major disappointments in life. It includes loss of loved ones and disrupted relationships etc. Aurum Met is an ideal homeopathic medicine for major depression where the symptom of suicidal thoughts is present. The feelings of profound hopelessness, loss of love for life and suicidal thoughts are also present with great depression in Aurum Met. In Aurum Met, the patient considers his life a burden for him. In his opinion, his future is dark with no hope left. He is also tired of his life and there is a strong sense of worthlessness is also present in Aurum Met. Symptoms of self-reproaching and self-criticizing are also present in behavior. In addition, they cannot bear a slight contradiction and get angry very easily and quickly. Aurum Met gives a ray of hope to these patients and takes them out of gloomy and dark depression. Sepia is another homeopathic medicine for depression when the patient has indifferent behavior with symptoms of depression. This indifference is more towards his friend, family members and life. They do not want to perform any work and show lack of interest in any activity. They also do not pay attention to those activities which were previously liked by them. The patient wants to remain in loneliness and often sits quietly in solitude. Intense sadness with extreme irritation and gloominess are also present. Additionally, Sepia is an excellent remedy for depression in females when it occurs after childbirth or around their menopause. Kali Phos is an ideal natural medicine for depression with intense weakness. Additional symptoms of Kali Phos are gloominess, sadness, aversion to talking, continual weeping, moaning, negative approach or thinking with excessive fatigue or weakness. In addition, the symptoms of weak memory, dullness of mind and anxiety about future are also present with sleeplessness. Homeopathic remedy Aconite can treat acute anxiety problem. The suddenness of anxiety or symptoms associated with it indicates the usage of Aconite. In Aconite, the symptoms appear suddenly and the patient also gets a feeling of impending doom. Additionally, it is also a helpful homeopathic medicine for acute panic attacks. Homeopathic medicine Kali Phos is the top homeopathic medicine for stress. It is beneficial in those cases where depression is a result of tired minds. In addition, we can call it “fatigued minds” like students who overstudy. Depression in teenagers is very common due to hormonal changes and an increased stress to deal with studies and the social world. Genetic factors play an important role to give rise to depression in teenagers. Homeopathic medicines for depression in teenagers are not different from adults. Kali Phos and Ignatia are two top grade homeopathic medicines for treating depression in teenagers. Depression major is an advanced form of depression in which there is an extreme hopelessness with symptoms of suicidal thoughts are present. Aurmut Met is one of the best homeopathic remedies for depression major. Homeopathy also gives wonderful homeopathic medicine for insomnia or sleeplessness due to depression. Kali Phos and Coffea Cruda can be helpful medicines to treat insomnia in depression patients. Seasonal affective disorder or depression which occurs in winter season can be get rid of using homeopathic medicines. To select the homeopathic medicine for seasonal affective disorder we need to go through the symptoms of the patients. I recommend homeopathic medicine Ignatia for seasonal affective disorder. Homeopathic Medicine for Depression caused by Menopause. Menopause is one of the major turning events in the life of females or women. Depression is common among women who go through the phase of menopause. Lachesis and Sepia are the best homeopathic solution for depression during menopause.